II- Le film - Frankenstein, du livre au film. Frankenstein, du livre au film. 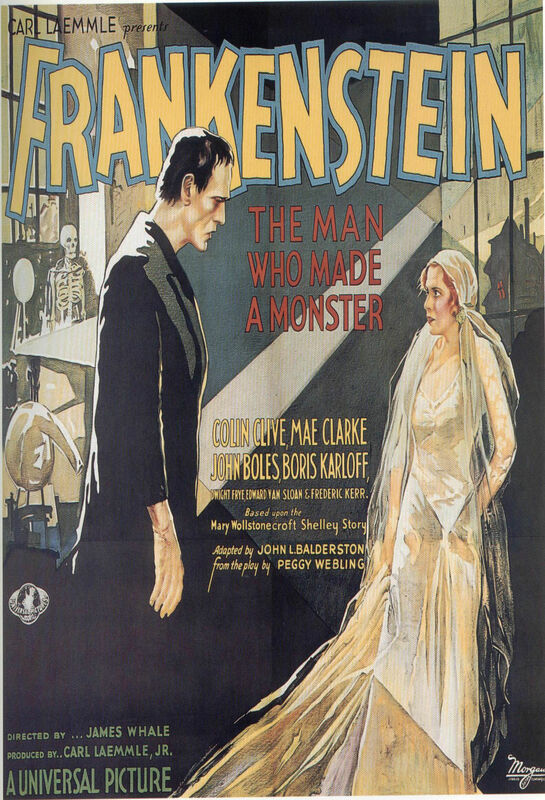 Frankenstein or The Modern Prometheus has been adapted to the screen several times, and the one which had the greatest success was James Whale's one, released in 1931. If nowadays the book has a great success, it is partially due to the film, because of its huge success. Since the film is based on the novel, they are many similarities and differences: the novel leans more on philosophical monster's thought, with his searches and discoveries, while to movie insists more on the terrific side of the story. But, since it's a film, it cannot fully illustrate the novel; otherwise the film would be too long and probably too boring too. Futhermore, some characters in the novel are not very important, that is why James Whale decided not to make them appear in the movie. He decided to delete Victor Frankenstein's little brother from the story. However, he added Fritz, the scientist's assistant. Due to this change, the story seems more terrific, but less emotional: Victor doesn't have to see his brother dying. Poster of Frankenstein used to promote the movie in 1931. The monster is a serial-killer. It's a new phenomenon both in literature and on the screen at that time. But in the novel, the creature seems to be very clever and cultured, which makes him even more frightening. The director took liberties (there are more differences than similarities). To start with, in the film the monster does not talk, whereas in the text it does. In the original novel, the monster was said to be beautiful and was alert, fast, strong, and downright eloquent in his speech. In the movie, its beauty became a sick mockery of what the doctor had intended to do and the Monster was described as 'hideous'. These, and his strength, are all that remains of the monster from the novel when transferred to the movie. On the screen, everything is based on the acting. At the end of the movie, the creature dies, whereas in the novel, he goes into exile. There are also entire passages omitted in the film : for example, the moment when the monster is alone in a room reading books to learn different knowledge does not figure in the film, because it can’t be adapted in a movie (too long and not enough action: no one wants to look at a monster reading for hours). 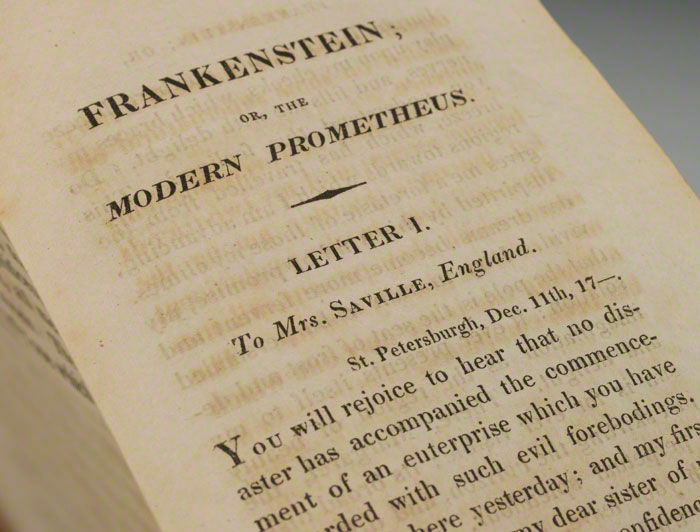 Few scenes are highlighted in the film, like the one in which Victor Frankenstein creates the monster: the scene takes place in a gloomy room, while there is a storm outside, whereas in the book, the only information is: ''the light of a flickering flame''. 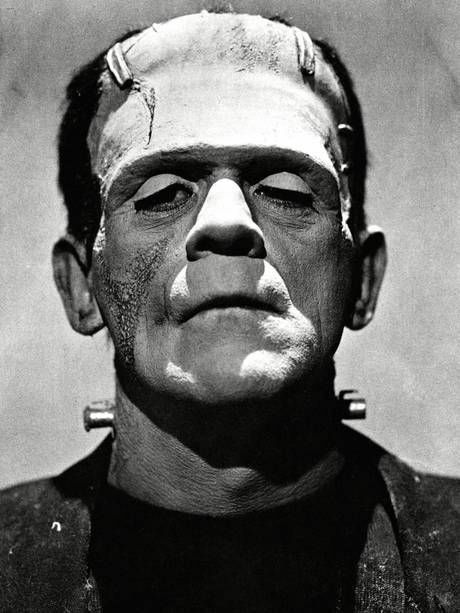 Finally, the characters' names are reversed: nowadays, when we talk about Frankenstein, we think about the monster, whereas it actually refers to monster's creator. TPE des Premières L du lycée Notre Dame des Missions Saint Pierre Groupe 2. Cliquez sur les images pour les agrandir.